A few weeks ago, I had a very, very good night. 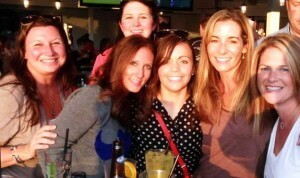 I met my friend, Carleen and her boot camp babes (Carleen is a personal trainer) at one of our local, by-the-water crab places. I had a blast hanging out with the gang. Also I had the pleasure of meeting Melissa, account manager for Biggs & Featherbelle, a health conscious body care company. A few days later I received a goodie bag containing Biggs & Featherbelle signature bath soaks (and a few lip balms as treats). Melissa knew I was detoxing for Fall Renewal and needed extra support to flush out the toxins even further. The Muscle Soak smells divine…I keep the lid open so I can get whiffs of scented heaven throughout the house. The soak is all natural and handmade: free from synthetic fragrances, dyes and additives. I try to buy paraben-free, non-toxic beauty supplies so I was thrilled to test it out. Our skin is the largest organ and even though we eat organic produce, greens, and fruits, we sometimes neglect our skin with toxic soaps, shampoos, and lotions. I’ve been known to slather on Vaseline the back in the day myself! So it’s important to search out non-toxic companies like Biggs and Featherbelle. On Day 3 of my detox… I was ready. 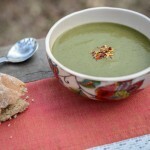 Usually during a detox, the first few days are rough, and Day 3 is the “make it or break it” day. So it was time to relax and soak in the tub. And support my body as it worked hard to get rid of the yuk. I’m a big fan of essential oils, and as I was drawing the bath, I immediately felt calm and at ease (lavender at work!). I lit some candles (because that is what you do when you take a bath) and dipped right in. I actually felt toxins being drawn out of my pores. I kept telling myself that I was hallucinating because, really, can bath salts do this? Yes, yes, it’s true. I began to relax and trust the process. The smell, the sensation of the salts in the water, the whole experience took me to a happy place. 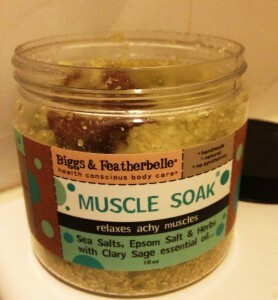 AND Biggs and Featherbelle and I want to give away a FREE Muscle Soak! I can’t let you NOT experience heaven! 1. Follow the guidelines in the box. 2. You must leave a comment and share to win. The lovely lady with the most points wins! The winner will be posted on Oct. 23rd. (I’m growing up! No more picking out of a hat! 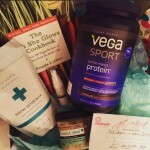 I feel like a big girl now with a formal contest giveaway system). Good luck and leave a comment below with your self-care tip! I’m collecting ideas! 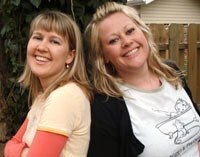 Sisters Kelly and Kasey Evick created Biggs & Featherbelle ten years ago. A magazine article inspired the pair to make ‘melt and pour’ glycerin soaps as Christmas presents. With backgrounds in the Fine Arts and Fashion, the two had fun creating unique recipes, packaging and clever names for each item. The gifts were a big hit. Their family had always been proponents of alternative healing practices and consumers of natural beauty products. So, it seemed fitting to continue exploring the benefits of botanicals. The innocent investigation soon turned to obsession. The sisters quit their day jobs and devoted every hour to research and invention, striving to create the products they couldn’t find on the shelves. Fueled by encouragement from friends and family, the word spread to local festivals, then regional fairs and eventually in stores throughout the U.S.
Today, armed with the collected experience and knowledge of essential oils and other critical ingredients, the mission is to create products with a purpose. Paying close attention to packaging and presentation of the company, the focus is on specific solutions for all skin types. I unplug every evening, go upstairs and take a bubble bath, do breathing exercises (sometimes meditate), and give thanks for the beautiful day — and give and receive love from my furkids. Beautiful, Courtney! Giving thanks is so important for our well-being. Love! I love bath naps! And, I love delicious body products. Currently I”m a huge fan of LUSH products, but there’s always room for another fave. Oh, Sheila! I’m with you…I haven’t taken baths in such a long time until recently…I’m hooked on the Muscle Soak and the whole experience. I go for a long walk whenever I need a break from the world. I always come back feeling refreshed. Noel, what a splendid way to take care of YOU. I need to add more walks in…you inspired me! Awesome sauce, Beatriz! I’ve always wanted to learn! I try and run or drink tea. I LOVE to run! I always think that gets me in such a good move. Go endorphins! I have decided to make a one fun change in my life for just me when I celebrated my 54th birthday two days ago. I am hula hooping, ninja passes & learning more. It’s better than I dreamed & I feel wonderful.